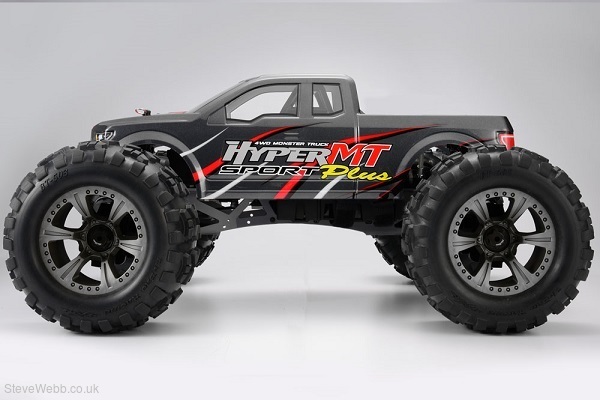 Everyone loves a monster truck and HoBao have gone for traditional styling with the new Hyper MT Sport Plus. Featuring a classic cab style pick-up pre-painted bodyshell and huge lug pattern tyres the MT Sport Plus is everything you come to expect in an R/C truck. With a durable and tough aluminium ladder style chassis and heavy duty moulded suspension parts the Hyper MT is prepared for what you have instore. 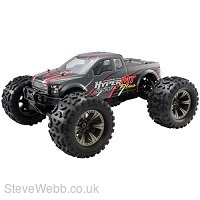 Huge superstroke, large volume oil filled shocks absorbers and new heavy duty springs will handle the landings off jumps and when driving through the rough stuff, with its all metal geared and shaft driven 4wd transmission ready to cope with the power you put down! 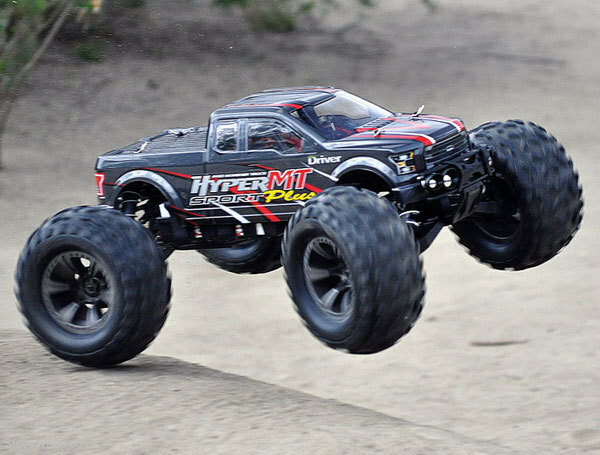 With a choice of either a powerful Hyper 30 nitro engine or electric brushless power models you can selecting the right monster for you could not be easier.